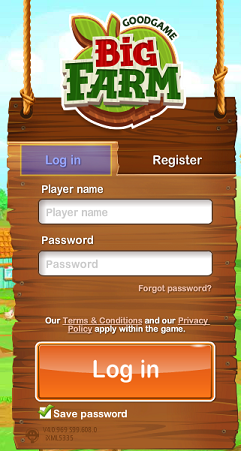 Need Help Logging Into Your Farm? 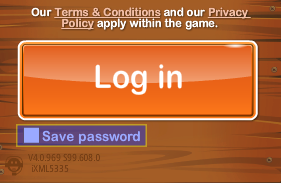 be sure to select the "Log in" tab on the login box. 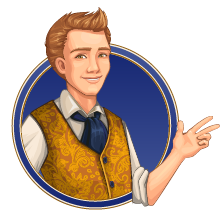 will result in a message saying that the name is being used by another player. will both result in the creation of a new account & level 1 farm. Check the server box at the top of the screen to the right of the login box, to be sure the correct server is selected. Click the arrow next to the flag to select the flag for your server. 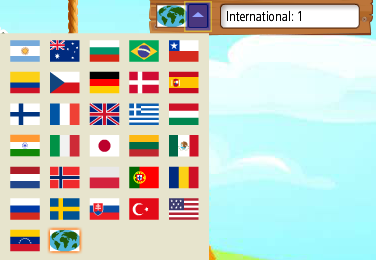 (The flag you choose will determine which language your game will appear in). Click the arrow next to the server selection box to select the correct server. select a different server then switch back to your server. 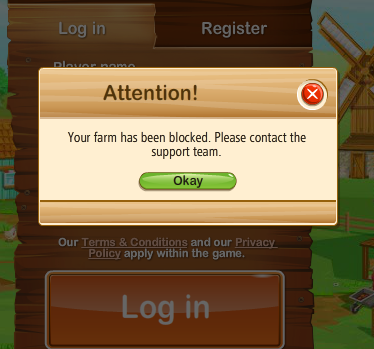 If you end up on a farm called User2 there was a particular failure during the login process. Logout using the logout button located at the top right of the screen and try the login process again. You will need to clear the cache & cookies if you continue getting logged into User2. & uncheck the save password box, then enter your login information. you will need to contact the support team to discuss your account. Check your email including spam/junk folders for a message from support.